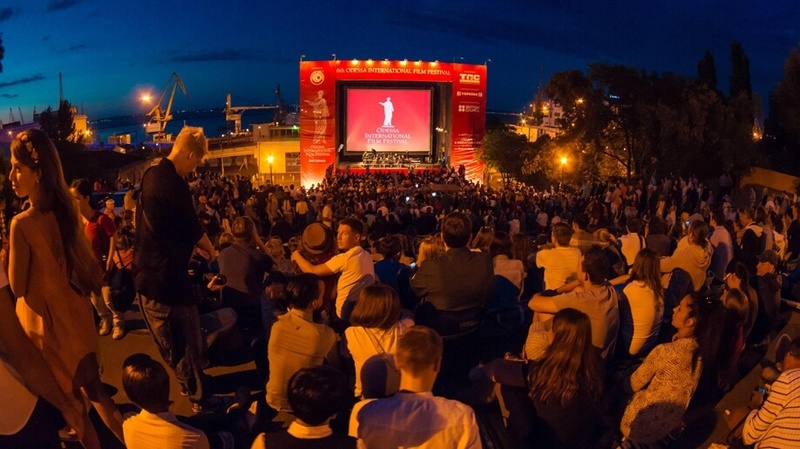 World cinematography masterpiece, Oscar winning composer and assurance in Britain’s support for Ukraine – traditional grand open-air screening took place on the historical Potemkin Steps as a part of the 6th Odessa International Film Festival. 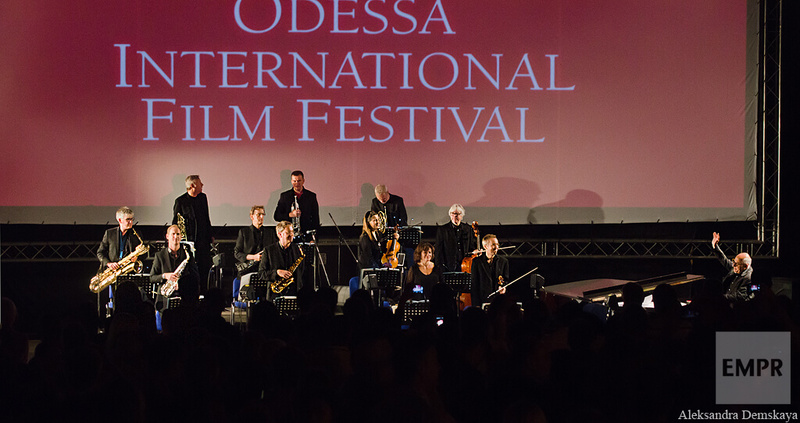 Every year, the Odessa International Film Festival proudly presents international silent film classics accompanied by live music and shown outdoors on the world famous Odessa Potemkin Steps. Every year such screenings gather around 15,000 people ready to be absorbed by immortal masterpieces that shaped modern cinematography. 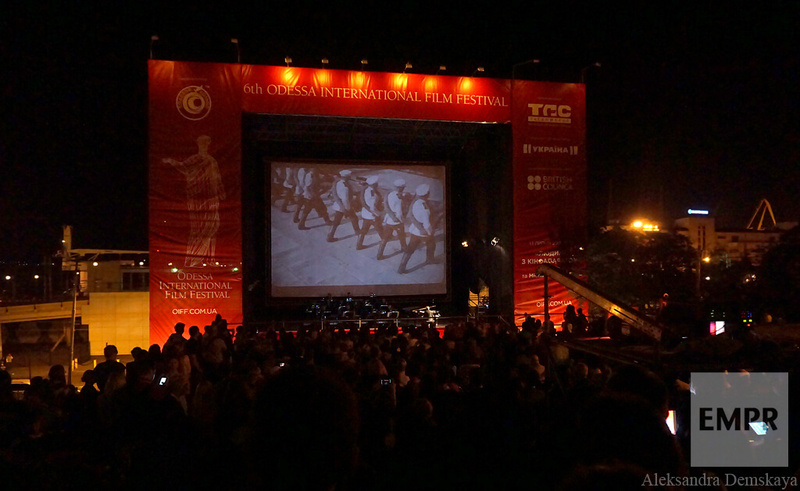 Eisenstein’s Battleship Potemkin was the first to be screened on the Steps followed by Fritz Lang’s Metropolis, Charlie Chaplin’s City Lights and Alfred Hitchcock’s Blackmail. 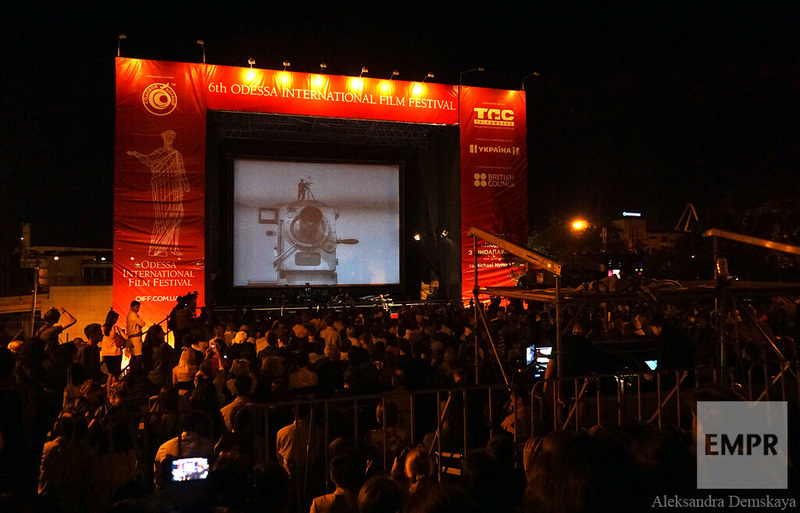 This year screening was even more anticipated than usually, since the world famous Oscar winning British composer Michael Nyman promised to present his hearing of Dziga Vertov’s Man with a Movie Camera – Ukrainian documentary shot in 1929 that was way ahead of its time. 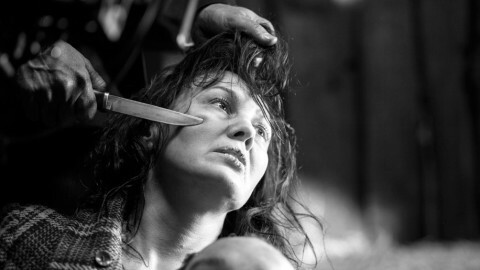 The film was named the best documentary ever made. 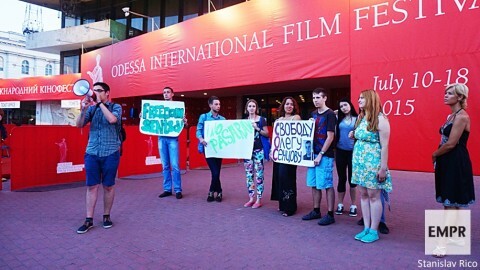 ‘The Odessa Steps is possibly the most famous film location in the whole history of cinema’, Michael Nyman noted during his press conference on the eve of the performance. 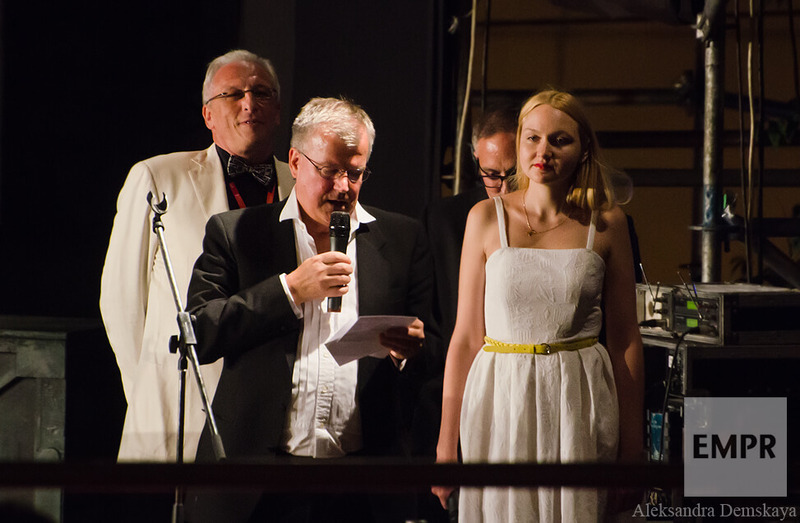 And his words were proved the very next day, 11 July, when next to the Potemkin Steps a special Treasure of European Film Culture emblem was awarded by the European Film Academy. And at night, newly named treasure of European film culture turned into the biggest open-air cinema in the world and became a stage for unique example of cooperation, when Ukrainian and British culture combined to create a breathtaking performance. ‘It’s a Ukrainian pioneer who created a universal cinema without actors, without subjects, cinema accessible and understandable to everyone, a cinema without borders’, British Ambassador to Ukraine Simon Smith said before the screening. 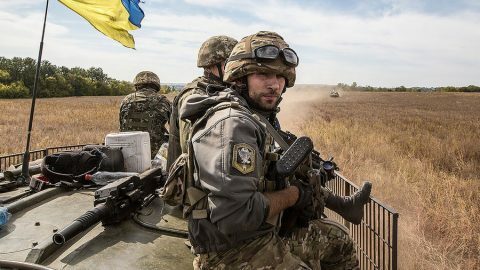 ‘So we are not just looking here at extraordinary achievement, artistic achievement, but also a fantastic example of cooperation between Britain and Ukraine’. The Ambassador also passed the British Prime Minister’s message of need for uncompromising support for Ukraine. 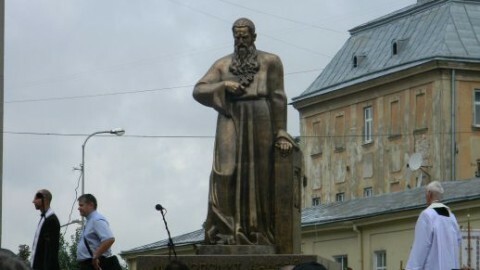 The screening was supported by the British Council in Ukraine. 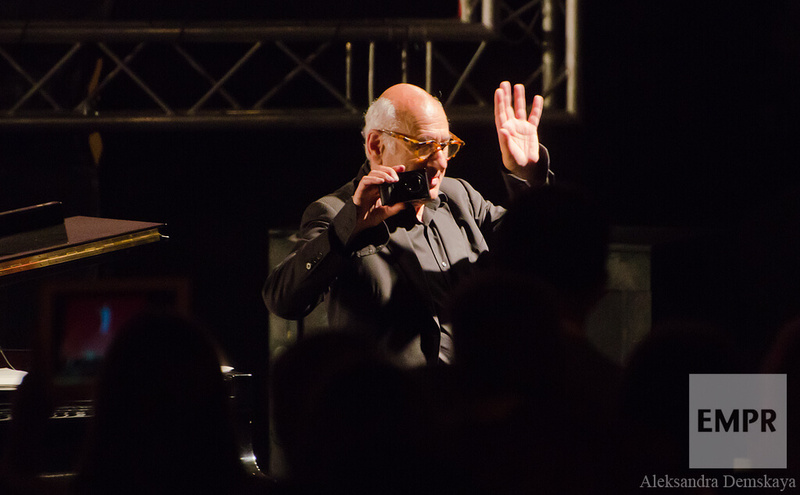 ‘The Man with a Movie Camera is on the one hand considered to be a documentary and on the second hand it’s considered to be a city symphony filmed exclusively in Moscow, and in Kiev, and in Odessa’, Michael Nyman explained during his press conference. And it is a symphony indeed. Dziga Vertov was trained as a composer, and as Michael Nyman pointed out, Vertov had basically wanted to find a way of capturing sound. But there were no tape recorders available at that time, so Dziga Vertov made a visualisation of the sound world. Rhythm, movement, pace of everyday life, which Dziga Vertov filmed so brilliantly, became even more vivid, more alive and more inspiring with Nyman’s score, emphasizing undoubted Vertov’s genius. Experimental daring scenes of the Man with a Movie Camera, without any doubt, became the basis for future cinema. In particular, after watching the film, it becomes clear, where Leni Riefenstahl got inspiration for her Olympia. 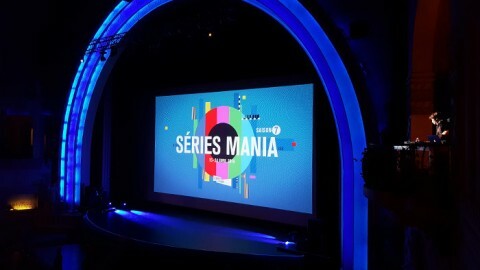 The screening of the film and the Michael Nyman Band’s performance were warmly welcomed by standing applause of 15,000 viewers. 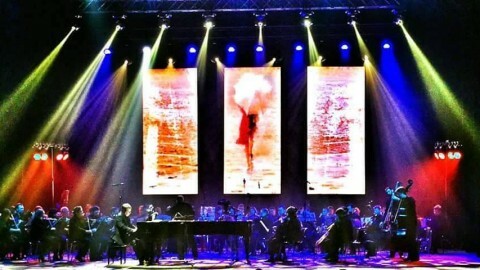 To keep the moment, Nyman and his orchestra played an encore of a musical excerpt from maestro’s score to Sergei Eisenstein’s Battleship Potemkin. 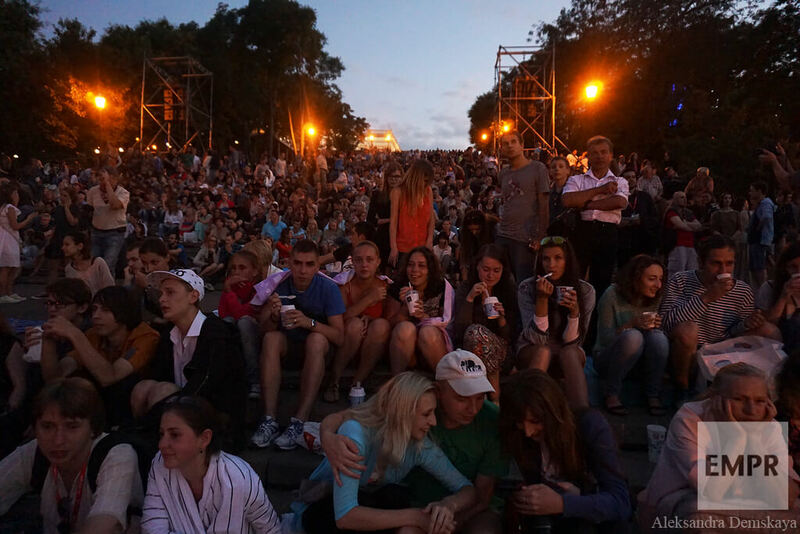 And the Potemkin Steps became a meeting point not only of two cultures – that of Ukraine and Britain – but also of two times: the viewers saw on the screen the film that was shot 90 years ago on the steps they were seating at that very moment. As Michael Nyman noted, it was a great pleasure for him to visit Odessa, since he could walk the streets that Dziga Vertov had walked and discover as many locations that Dziga Vertov had seen and filmed. During the opening ceremony of the 6th Odessa Film Festival Michael Nyman was awarded the Golden Duke for Lifetime Achievement.